Cetaphil offers a full line of cleansers that are safe for daily skin care, but are not the most effective at treating acne. The cleansers made by Cetaphil are good for cleaning sensitive skin. They are reliably free of substances that cause allergies and irritation. The only shortcoming of the Cetaphil line is that it is not really the greatest for treating acne. All major over-the-counter Cetaphil products are reviewed in this article. 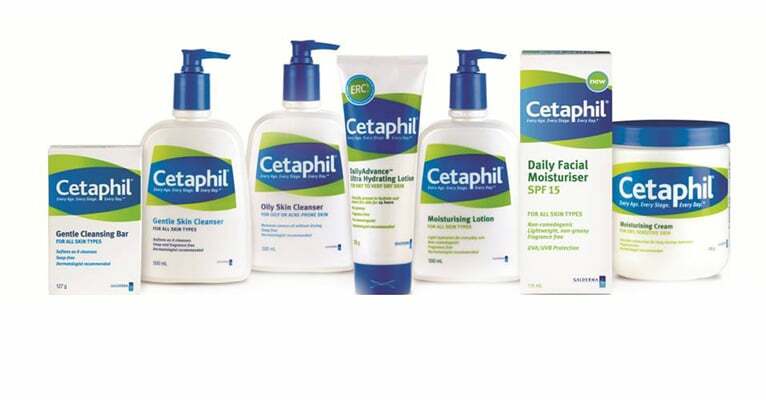 Cetaphil makes complete product information available online. It is easy to check lists of ingredients for your personal problem chemicals. Many Cetaphil products work well and are a good buy. A few Cetaphil products are not recommended for acne sufferers. Cetaphil products are made by the Galderma company, which also makes the prescription cystic acne product Differin and the rosacea treatment Metrogel. The company’s website lists all ingredients used in any of their formulas, so users can check to make sure they are not getting any chemicals to which they are sensitive. The company has always put quality before profits. Not all of their products, however, work equally well. Let’s take a look at some Cetaphil products that are a great value and that really work, and at a few that don’t. Cetaphil Gentle Skin Cleanser is a product that dermatologists really do recommend for their patients. Cetaphil has made this product with exactly the same ingredients for years, so if it works for you, you don’t have to worry about breaking out in red spots and green bruises because some new ingredient was put into the formula to satisfy the goals of some marketing campaign. Cetaphil Gentle Skin Cleanser retails for about US $8 a bottle and is available in many different outlets. It is fragrance-free and safe for people who have eczema or rosacea. It’s not the greatest for removing makeup, but if you don’t use makeup, it is an ideal acne skin cleanser. Daily Facial Cleanser for Normal to Oily Skin is the acne skin cleaner to use if Cetaphil Skin Cleanser is not strong enough to remove your makeup. There is just one problem with this product for some people who have acne. This skin cleanser contains fragrances. If you have allergies or sensitive skin, and you also have dry skin, using it can make your skin red or irritated. This problem is mostly likely to occur in people who have very fair skin, blond hair, and blue eyes. People who have oily sensitive skin usually are not affected by the small amount of fragrance in the product. Cetaphil’s Gentle Cleansing Bar is a soap-free soap, similar to the Dove Beauty Bar. It’s really not the best cleanser for the face, since its palm kernel and tallow compounds could clog pores on delicate facial skin. From the neck down, however, it is a great cleanser, especially for people who have eczema, allergies, or sensitive skin. It is preferable to the antibacterial cleansing bar made by Cetaphil that creates even more problems with sticky soap films. Daily Advance Ultra Hydrating Lotion for Dry, Sensitive Skin (Fragrance-Free) is not all that advanced and it isn’t fragrance-free, either, but it is a good treatment for people who have fair, sensitive, or dry skin. The formula for this product contains a tiny amount of a chemical called farnesol, which is the chemical that gives citronella its distinctive aroma in insect repellants and candles. The tiny amount of farnesol in this product is not likely to cause anyone problems unless there is a specific allergy to citronella, lemon grass, or farnesol. The only antioxidant in the lotion is vitamin E, but there is more vitamin E in Daily Advance Ultra Hydrating Lotion for Dry, Sensitive Skin than there is in many much more expensive products. Cetaphil’s UVA/UVB Defense SPF 50 Daily Facial Moisturizer for All Skin Types is an excellent example of how to use a natural sun block agent, titanium oxide, in a genuinely hypoallergenic formula that protects the skin from dryness and sun. The primary limitation of the formula is that it just is not strong enough if you are spending more than an hour or two outdoors in a bright-light locale like the American Southwest or northern Australia or anywhere along the equator. The titanium can also leave a slight white tinge to your skin. This is fine if you hail from Iceland, but probably not if you are from the Ivory Coast. Cetaphil’s Therapeutic Hand Cream is gentle enough to use if you have hand eczema. It suffers from the lack of skin-identical ingredients that you can find in brands like Aveeno. If this Antibacterial Cleansing Bar is the only product you use, the downside to triclosan is that it rinses right off the skin so you can get a feeling of false security from using the product. Moreover, in a soap, it creates a film that can clog pores. It may kill some germs and stop pimples, but the soap film can cause more whiteheads. Other cleansing products are preferred. Gooday,I have been diagnosed with Roserea I am 62 yrs old always had good facial products.Can I use your products and what do you suggest for facial wash and moisturizer.Help desperate. I've been using Cetaphil's cleanser and moisturizing cream and always felt itchy and redness on my face even those are made for sensitive skin. BUT I just got the Made from Earth Green tea Cleanser and pH Equilibrium Moisturizer last night and I'm very satisfied with it. Granted I have super sensitive skin(and also oily), never felt any uncomfortable since last night. I have had white heads for years and wear more and more makeup to cover them, leaving my skin clogged to a more extreme extent. I read a few articles on whitehead reduction and started a new regiment. I use the cetaphil sensitive skin gentle cleanser in combination with the cerave retinol cream, and my whoteheads are nearly gone in about a week. Apparently some acne washes irritate your skin when removing the oils, and that in its self can cause more whiteheads! I seem not to find Cetaphil anymore , whenI asked my pharmacist he replied that it wont be in pharmacies anymore, why is this? I have been using Cetaphil derma control spf30 and now its not available in pharmacies any more , could you please tell me how can I get this product and why is it not in pharmacies ? I'VE BEEN USING CETAPHIL CLEANSING FOR A WEEK, AND NOW I'M HAVING SOME ACNE/PIMPLE ALL OVER MY FACE. I JUST WANNA ASK IF IT'S JUST NORMAL OR WHAT? THANK YOU!